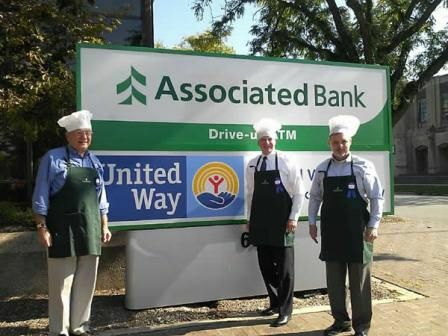 Recently, the Rockford and Machesney Associated Bank branches held their third-annual Chili Cook-Off event as a United Way fundraiser. Each branch entered chefs to compete for a chance to win one of three categories: Hottest Chili, Presentation, or Overall Best Tasting Chili. Colleagues who wanted to enter the chili cook-off made a $5 donation and attempted to present a chili that put all others to the test. A group of judges from the United Way committee went from branch to branch judging each recipe. Colleagues in each competing location were also offered a taste for lunch in exchange for a donation to the 2014 United Way Campaign. Together, the locations collected a total of $149 from colleagues. Hottest Chili — Alessandra Saldana, teller-community market, Rockford Main Associated Bank. Overall Best Tasting Chili — Kim Rodriguez, teller-community market, Rockford Perryville Associated Bank. Presentation — In-Store 11th St. Associated Bank and Downtown Rockford Associated Bank. Judges of the annual chili cook-off were, left to right: Paul Logli, president and CEO of United Way; Thomas Kress, Rockford Associated Bank president; and Loren Piotrowski, associated investment services (AIS) regional sales manager.